She was once the smallest surviving baby born in Texas. 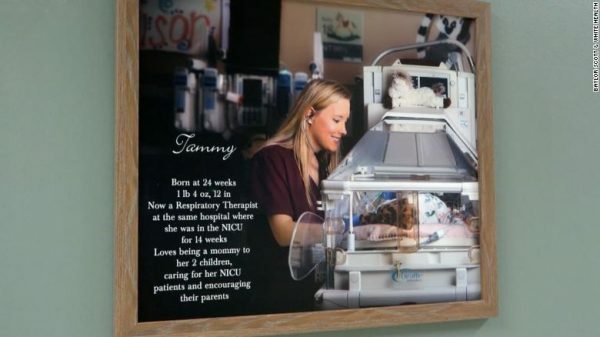 Now, she works in the NICU of the hospital that saved her life - CNN - Not All News is Bad! When Tammy Lewis was born, she was 3½ months early and weighed in at only 1 pound 4 ounces. Her family faced the harsh reality that their newborn’s survival rate was 5-10%. What a perspective she brings.